The Trade Federation was built on the foundations of honor, integrity and profit and has always strived to abide by that motto. While the rest of the galaxy collapses in on itself due to corrupt politics and frivolous wars, the Trade Federation remains unscathed and continues to deliver goods throughout the entire galaxy. 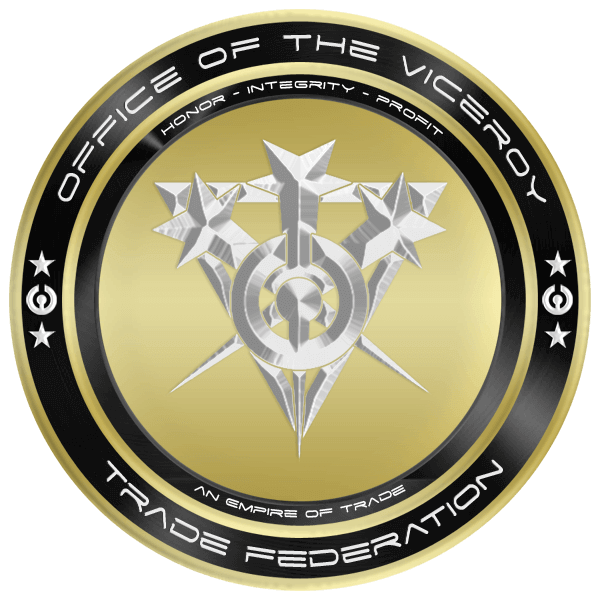 The Viceroy has pledged to uphold the tenet of honor, integrity and profit by ensuring that the Trade Federation remains impartial in all matters relating to commerce and under no circumstances overlooking any client. Despite the fact that the Trade Federation started as a small trading organization, it is now a superpower whose influence can be felt throughout the entire galaxy. 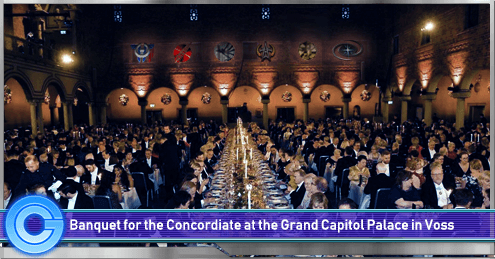 With each passing day the Trade Federation solidifies its control on the systems in its jurisdiction which in turn results in many governments and factions lining up to create trade contracts with the Trade Federation. Being a fully fledged government headquartered in the Zeemacht Cluster, the Trade Federation will remain unaffected by the war torn galaxy and continue its path of success. The Lucrehulk Battleship Caelestis departed the Vectina system on Y19 D136, and with it the Trade Federation forces under the command of Admiral Ru Ru Wok. Admiral Wok arrived at Vectina on Y19 D108 under orders from Viceory Nohv Schiller on a mission to help Ailon Nova Guard restore order after Kohl Straffer and his so-called "Nova Blades" sought to wrest control of the planet. 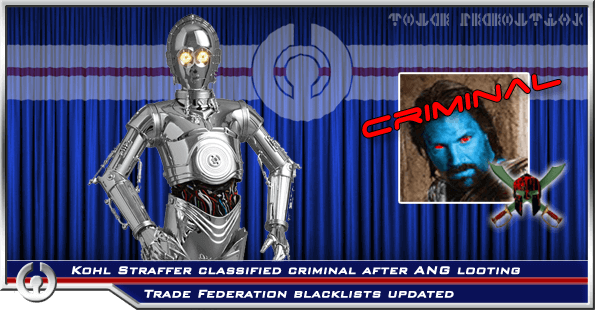 Straffer, advised and aided by the Zann Consortium, had already seized a large amount of credits, ships, and military equipment for his coup. In addition to supporting the ANG forces at Vectina, Admiral Wok was tasked with coordinating the humanitarian mission to assist those citizens suffering in the midst of civil war. Detachments from the Kerdos Company, CorSec and The Wraiths also answered ANG's call for assistance. When Trade Federation personnel arrived in the system, however, the situation they encountered was significantly more complicated than had been described or anticipated. Nova Blade forces had already assumed control of much of the planet's infrastructure, including many power generators, shield projectors, and computer control stations. After only a few exploratory patrols and convoys of food and medical supplies, it became apparent that the fight ahead of Ailon Nova Guard would last much longer than originally projected. After consulting with experts at the Ministry of Defense, Viceroy Schiller recalled Admiral Wok. A source close to the Viceroy cited a wish to keep the Federation from being mired in a costly, potentially bloody conflict with no clear end in sight. "Once it became clear" the source confirmed, "that the onus of the conflict would be on the Trade Federation military, the Viceroy saw a tactical withdrawal as the only way forward in Vectina. The Federation could not commit the resources it would take to occupy a system outside our territory for an unspecified amount of time. Simply put, the situation at Vectina required a commitment which went too far beyond the initial basis on which we had agreed to intervene. As unfortunate as the system's affairs were and still are, the Federation could not slip into war." The Federation strongly condemns the actions of Straffer, the Nova Blades, and of the Zann Consortium. Trade restrictions and bans remain in place and stricter sanctions will soon be announced. 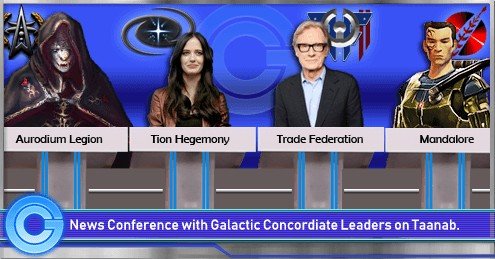 With the recent retirement of Viceroy Schiller, Viceroy Jacob Jansen has promised to keep a close eye on developments at Vectina and assures the Ailon Nova Guard that the Trade Federation will always stand ready to assist all allies in the most appropriate way. On Y18 D68 Duceroy Nohv Schiller was promoted to Viceroy of the Trade Federation following the retirement of Viceroy Jacob Jansen. Under the leadership of Viceroy Schiller the Federation's payscale has been updated, ensuring that thousands of government employees and their families recieved salaries and benefits that matched their labor and dedication to the public good. Vacancies in leadership have been filled with top tier candiates. 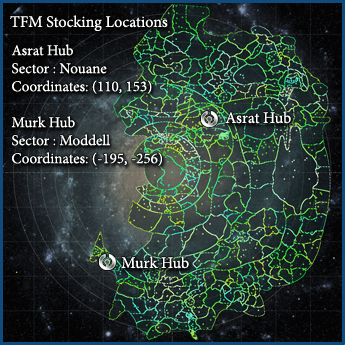 The seals and uniforms of the many ministries and departments have been modernized, and under the Viceroy's watchful eye the Trade Federation Market came to eclipse the one-popular Centerpoint Marketplace in public trust. No one can dispute that the Trade Federation has prospered at all levels under Viceroy Nohv Schiller. The tabloids and rumor mills have been alight with whispers that our beloved Viceroy had long been fighting an unmentioned illness. On Y19 D136 Viceroy Schiller publically confirmed these rumors and announced that he was taking an indefinite leave of absence to rest and seek treatment at the Forsetti Research University Hospital. Sources close to Viceroy Schiller confirm that his condition is serious, but with time and treatment he is expected to make a full recovery. Before leaving to seek treatment Viceroy Schiller appointed Regent Jacob Jansen to fill the Viceroyal office in his absence. 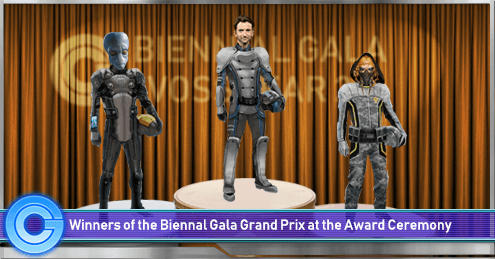 Jansen, who served the Federation as Viceroy for nearly a decade, agreed to come out of retirement and guide the Federation until his colleague and friend Nohv Schiller is able to once again give his full strength and attention to the service of the citizens of our great Federation. 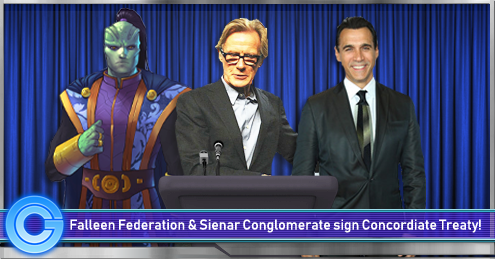 Viceroy Jansen joins the rest of the Federation and her allies in wishing now Regent Schiller a speedy recovery. The Department of Trade is pleased to announce our latest version of TFM, version 3.10. With this version, you will find the following updates. Please feel free to contact any TFM staff member with any comments, questions, or additional ideas. We hope you enjoy these features and hope to see you using TFM daily. - Raffles are now available as a listing type, and the system will randomly choose a winner. No need for annoying posts or money transfers here! - Recently added page: now shows all listings since you last logged in that have been added. - Price index now on search page: search for data and listings at the same time! - Sales tools for shops: each shop can now add sales for a set period of time. Please do not abuse or additional rules will be enforced. - CPM sync now weekly and not based on when something sells on TFM: for your better data! - Single listings expire after 30 days, can be relisted easily: a link will appear if your listing is removed to easily re-list with no edits.